CATR offers a popular range of vertical air receivers that are specifically designed for use in industrial compressed air systems. 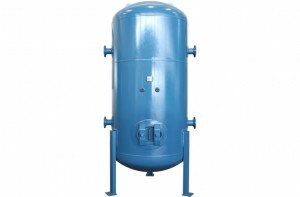 These premium quality pressure vessels are exclusively made in our affiliated factory that is ISO 9001 compliant and also certified by the American Society of Mechanical Engineers (ASME). 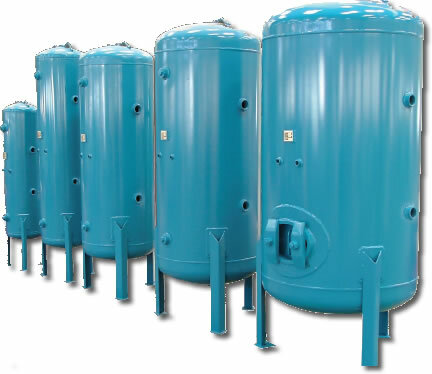 Save time and money when purchasing a vertical air receiver by selecting from our extensive stock of competitively priced pressure vessels that are available for immediate delivery to anywhere in Australia. Manufacturer’s Data Report provided in accordance with Australian Standard AS 4458. OH&S Registered Design approved for workplace use in all Australian States and Territories. Industry preferred socket sizes and placement Reinforced vessel support attachments. External surfaces are abrasive blast cleaned, primed, finish coated in two pack polyurethane paint and then oven dried. Blue external colour (similar to Dulux® Process Blue) indicates compressed air content in accordance with Australian Standard AS 1345. Individually packed in a horizontal position inside a full timber crate with plastic bag cover. Matching pressure vessel accessory kits are not supplied as standard, but can be purchased separately. Each kit includes a safety valve, pressure gauge, manual drain valve and associated pipe fittings.